Manchester United may be willing to battle it out with their bitter city rivals to sign Wolverhampton Wanderers midfielder Ruben Neves, The Sun are reporting. Manchester City are reportedly willing to offer up to £60 million for the Portuguese star, who has impressed many after just a few games in a Wolves shirt. Neves’ contribution to the team was visible after the very first game-week in the Premier League against Everton, after he scored a brilliant free-kick and later assisted from a wonderful cross. Pep Guardiola is set to make a bid for the 21-year-old come January, and may not be alone in doing so, as he shares the admiration with United boss Jose Mourinho, who knows the player very well. Mourinho and Neves share the same agent in Jorge Mendes, who has seen the Porto youngster develop into one of the next big things in Portuguese football. Often compared to the Italian legend Andrea Pirlo, it is clear that Neves does have a touch of class about him. Mourinho would have bid for the player earlier, but reportedly wanted to judge his instincts in the rough world of English football before being convinced that signing him was a good idea. Now, those fears seem to be put to rest. 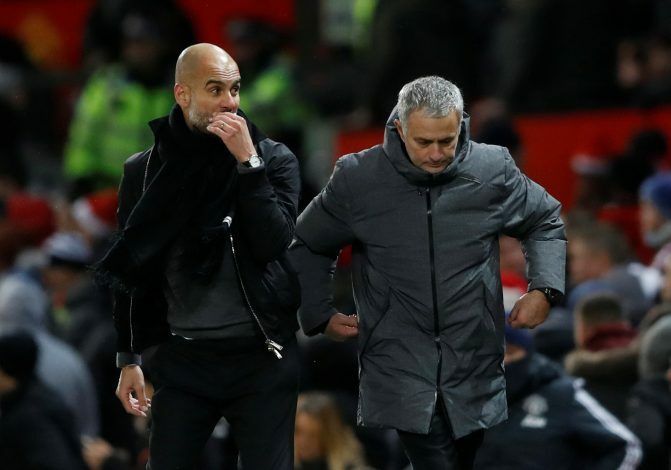 City do seem to be front-runners at the moment though, but will be well aware that in the last winter transfer window, the Red Devils snatched Alexis Sanchez from under their noses in a massive coup and made a real statement at the time by doing so. As of now, however, Neves will know that he must concentrate on his current employers and ensure that the team does enough to stay up after an unlikely return to the top level of English football. With problems aplenty at Manchester United, a young and daring midfield player like Neves may well be the answer to the lack of creativity in the Red Devils’ midfield.